Food waste in Canada has been targeted as an environmental, social and economic concern. Columnist Andrew Coppolino asked experts how people can make inroads at home. Research done by Statscan and the Region of Waterloo, Ont. shows that a typical family four in Southwestern Ontario spends between $8,000 and $10,000 on groceries per year. 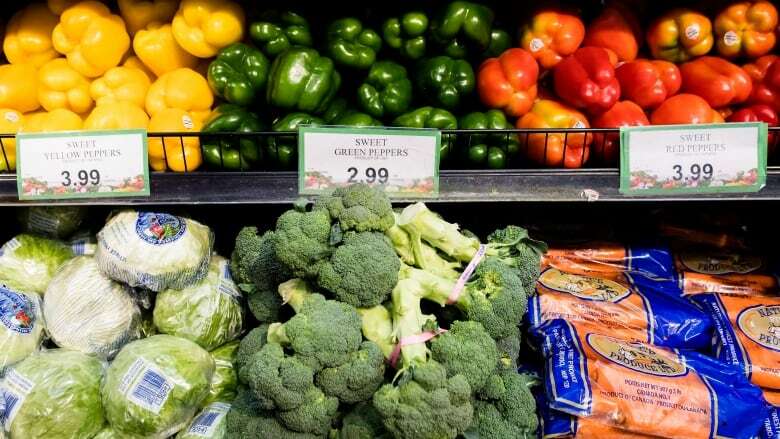 With rising cost, that's estimated to increase the spending by $400 more on groceries in 2019, according to food researchers at the University of Guelph. So, how can you shop for groceries and save a bit of money? There are a number of strategies based on planning and preparation – and it starts with not shopping when you are hungry. Experts including Diana Sutherland, an in-store registered dietitian at Zehrs supermarket in Waterloo, Ont. says shopping while hungry is a common habit that costs people money. Sutherland recommends creating a plan for what you need for the week of meals focussing on items that are on special – and then sticking to the shopping list and avoiding impulse buying. "Browse through a variety of store flyers to determine where the best prices are. There are also phones apps too," Sutherland says, adding that food purchased with a meal in mind are less likely to go to waste. There are some grocery stores that are more expensive than others. The major first-tier grocery chains each have allied stores that are often less expensive. "Compare prices of various foods and brands," says another registered dietitian for the same grocery chain, Katherine Sutherland (no relation to Diana). "Store brands usually cost less and offer the same nutrition as high-end brands." Buying imperfect produce tastes just as good, provides the same nutrition and can save you a few dollars. Bananas don't need to perfect if you're making a banana loaf; neither do carrots or peppers need to be perfect and symmetrical if you're chopping them up to to make a soup. Reduced-price breads can be used for croutons, bread crumbs or, as a treat, bread pudding. Add it up across a full grocery cart, and that can mean $30 or $40 saved. "Look for quick sale items because their expiry dates are approaching," Diana Sutherland says. "Discounts can be up to 50 per cent, so you can save a lot. You can easily trim away bruises on fruits and vegetables." Katherine Sutherland stresses using unit pricing: that tiny print on shelves that indicates the price of the food per 100 grams, for instance; it's the only way you can accurately compare costs. Whenever possible, shop in bulk for both food and kitchen supplies, especially at big box stores. Large jars of peanut butter and mayonnaise can be a lot less expensive, especially if you have kids to feed. Some products cost 30 to 40 per cent less than in chain supermarkets. Meat can be expensive, so dietitians recommend using the growing number of less expensive sources of protein such as beans and lentils. Plant-based proteins are quickly gaining in popularity (and a recent study has stated that less meat consumption will help the environment). "They're less expensive and just as nutritious," Diana Sutherland said. Introduce "meatless Mondays" into your diet and shopping, or cut back. "Replace half the meat in a recipe with lentils for dishes that use ground beef such as tacos, shepherd's pie and meatloaf," says Diana Sutherland. "Plan meals using the healthy plate model: 50 per cent vegetables, 25 per cent whole grains or starchy vegetables, and 25 per cent protein such as meat, fish, legumes or eggs," Katherine Sutherland recommends. Where possible, replace meats with plant-based proteins that are more cost effective and nutritious. "Beans and lentils can be used in many places where you use meat," Diana Sutherland adds. Using specialty stores can be more expensive, unless you select the right ones. Asian supermarkets and stores that specialize in Middle Eastern foods can often have excellent spices, produce and meats at lower prices. Examples of these stores in Waterloo Region include New City Supermarket and Onkar Foods in Kitchener, and the new T & T Supermarket in Waterloo, to name only a few. Another strategy is farmers' markets. While they can offer the best in local and seasonal foods (when in season), you might be able to find reduced prices at the end of the market day. Buy in season when you can, says Katherine Sutherland. "During the winter months, try frozen fruits and vegetables. The nutrition is comparable and the quality is excellent." Using a shopping a list can help to prevent impulse buys which can add up quickly, and in the end, the items may not even get eaten. You can also reduce food waste wherever possible and use those leftovers to create new meals another day.